Silvio Berlusconi, Italy's former prime minister, was sentenced on Thursday to a year in prison for making public the taped contents of a confidential phone call with a political rival, according to published reports. The prison sentence, which Berlusconi is expected to appeal as he remains free, stems from a 2005 case in which the billionaire politician and media mogul allegedly arranged for authorities to secretly tape a phone conversation of a rival and then had the contents of that tape published by the Il Giornale newspaper, which his brother Paolo owns. If true, such an act violates the country's secrecy laws. Neither the conviction nor the prison sentence prohibits the 76-year-old Berlusconi from participating in a new government. His center-right political party is the second-strongest group in the nation's legislature. However, prospects of his return to office appear slim since center-left leader Pier Luigi Bersani declined to participate in a coalition with Berlusconi. The ex-prime minister's brother, Paolo, was sentenced to two years and three months in prison. The taped conversation occurred between Piero Fassino -- the former leader of the Democratic party, the country's largest center-left party, which evolved from nation's former Communist Party -- and Giovanni Consorte, the former chairman of Unipol, an insurance company reputed to be close with the Democratic party. The Berlusconi brothers were ordered to pay $104,000 to Fassino, according to ANSAmed. The former prime minister, whose net worth is estimated by Forbes Magazine to be about $6.2 billion, has been previously sentenced to four years in prison for tax evasion, but he is appealing that sentence. Berlusconi is also on trial on charges of patronizing a 17-year-old prostitute known as "Ruby the Heartstealer" in a case that is ongoing. 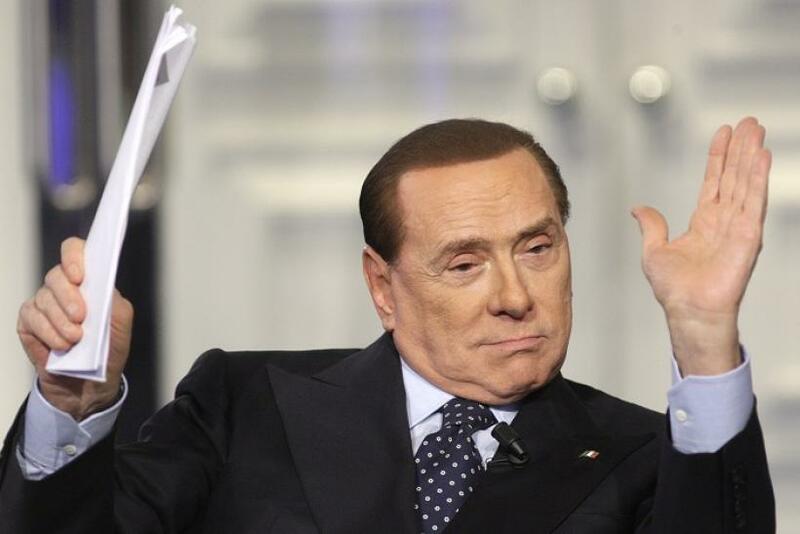 Silvio Berlusconi - The Sequel: What Would It Look Like?